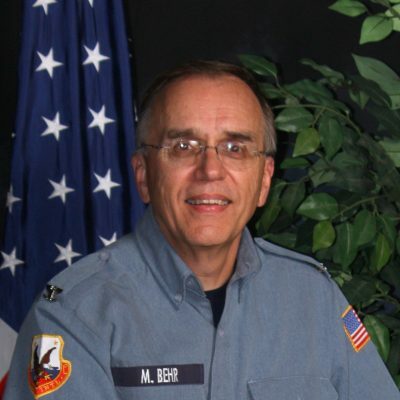 Colonel Marv Behr has served at ALERT since January 2000. During this time he has given oversight to purchasing and food services and in 2002 took responsibility for the SMaj Department, Battalion training, and ALERT related deployments. Prior to joining ALERT, he and his family lived in Wisconsin and he worked for 22 years at Modine Manufacturing in Racine as an Office Services supervisor. He has been married to his bride Carla for over 35 years and has four grown children and six grandchildren.